Water officials say San Jose city officials received several warnings that flooding was imminent but failed to evacuate thousands of residents who were trapped in their homes after a creek broke its banks. John Varela, board chairman of the Santa Clara Valley District, says in a letter sent Tuesday to San Jose Mayor Sam Liccardo that his agency and the National Weather Service gave the city all the warnings necessary to call for an evacuation ahead of the Feb. 21 flood but it failed to act. 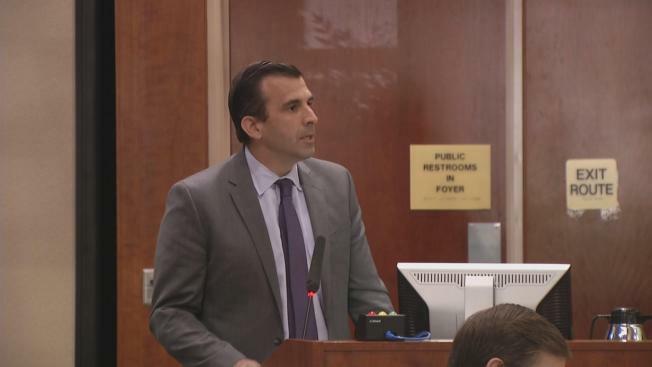 San Jose Mayor Sam Liccardo arrived to a tense atmosphere at the water district's public meeting Wednesday. He reiterated what he has said all along: he and the city take responsibility for the late response. But he emphasized that San Jose relies on water district data to respond, and that the data on the creek's flow and capacity were "wrong." The mayor said he was concerned the district might not agree. The water district board thanked the mayor for attending and chided him for the criticism, saying data they provided was generally accurate and probably "misinterpreted." "If that is ultimately the conclusion of the district, then that leaves us little choice than to hire our own hydrologists and engineers and figure it out for ourselves," Liccardo said. San Jose came under fire for ordering more than 14,000 residents to evacuate after contaminated floodwaters from a swollen Coyote Creek had flooded homes. Liccardo has said the city acted late because it relied on projections from the water district showing the creek could hold more water before flooding. Liccardo also stated that his primary focus at this point is to prevent flooding from overwhelming the South Bay city in the future. "As I’ve said before, this is not the time for bureaucratic finger-pointing – particularly since the city has repeatedly accepted responsibility for fixing the problem," Liccardo said in a statement. "We all need to focus on protecting our residents from the threat of future floods." In the end, the board extended an olive branch. "We're on the same page with you," board member Tony Estremera said. "Let's resolve whatever conflicts there are and move on."